We believe in the power of sport to motivate and inspire. And we believe all teams should have access to motivational, inspiring experiences. Which is why we created a series of affordable sports tours that are easy for schools and clubs to organise. Over more than 40 years working with 5,000 students annually, we’ve seen how sport forges lasting friendships and instils a commitment to excellence. Whether it’s talking with Olympic athletes and professional coaches or taking an excursion, every aspect of the tour builds confidence and team spirit. Let’s work together to create lifelong memories for your team. Exceptional communication by the staff, who were available at all times of day and able to answer any problems/questions quickly and effectively. I cannot fault any aspect of our Masterclass sports tour experience. A very successful tour, enjoyed by all staff and students alike. The hotel was excellent, and ideal for a trip of this nature. All of the Masterclass staff were very helpful and friendly. The service provided by everyone at Masterclass, in terms of their organisation and their ability to react and adapt to feedback was outstanding.  When you are responsible for over 40 students travelling to another part of the world, risk assessment and health and safety are a massively important aspect of any tour planning. MasterClass have been a huge help to me as Tour Leader in all aspects of health and safety. They really understand the intricacies of planning and managing a tour of this scale. The girls absolutely loved it and are so appreciative of all the opportunities they had whilst they were there. We will definitely be touring again in the next few years and will be using your company – it was so organised and we really enjoyed it! We have passed your name on to a few other local schools too!